If you’re unsure what to get someone on your Christmas list this year, I have a suggestion. Event Tickets. This year I bought tickets to go see Aziz Ansari for my sister and I. My thinking was that not only will my sister love the gift, but it’s also a way of spending some quality time together. In addition, there is no need to worry about size or scent because they are a one size fits all gift. Concerts, plays, musicals, and stand up can all be an unexpected surprise under the tree. 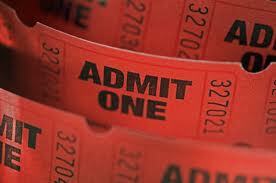 Just visit any of the numerous ticket sites to find events in your area. One thing to note, musicals tend to the safest choice when you are unsure of someone’s music or comedy taste, but be careful because musicals can also be the most expensive.